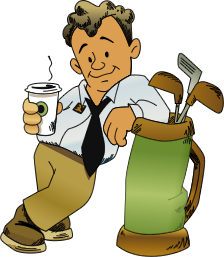 Are you looking for a fun and exciting way to promote your company? Consider marketing with our custom foam fingers. When you advertise with our promotional foam fingers, you will be putting your company’s name in direct contact with the customers. 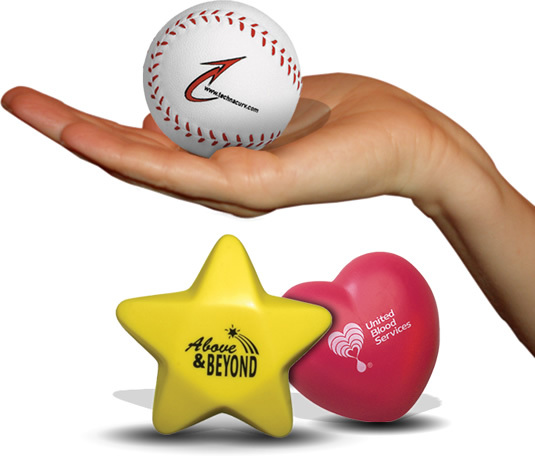 By providing fans with logo foam hands, you will be giving them a chance to cheer on their team and showcase your company name and logo at the same time. 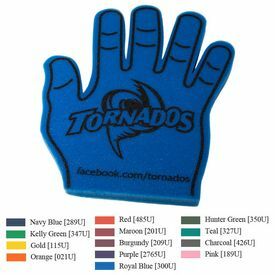 With our great selection of customized foam fingers and other foam cheer products, you’re sure to find something that works well with your company. 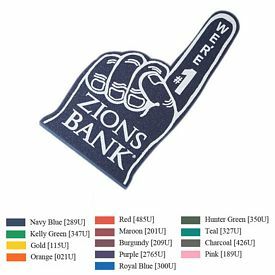 Our logo foam fingers are great for all sorts of sporting events. Start by customizing our printed foam hands with the name or logo of the team on the center of the hand. 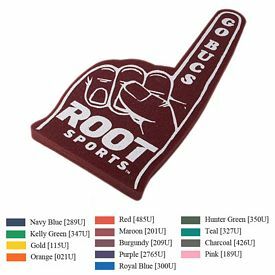 Then, add your company name or website at the bottom of the promotional foam finger. This will let your name be seen all throughout the crowd when the fans are cheering on their team. 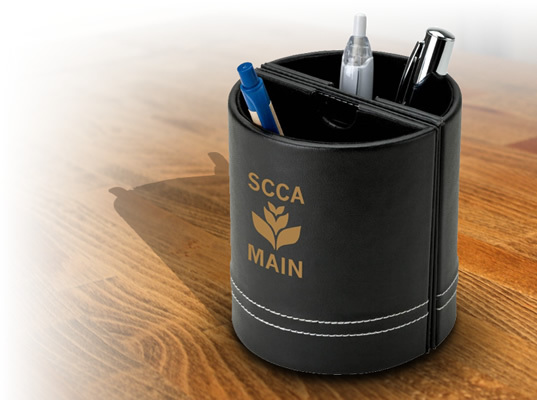 Such a simple idea can have a big impact on your business. 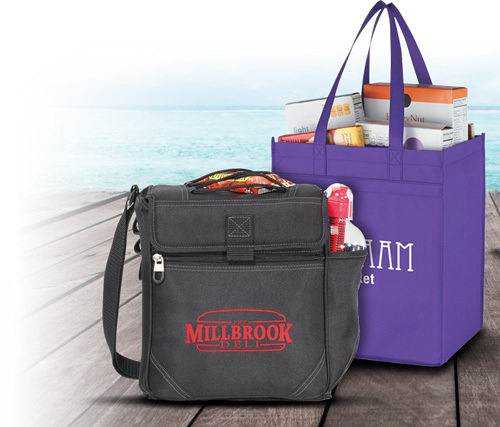 By providing the crowd with these customized foam hands, they will see that you are involved with the community and that you care for your customers. 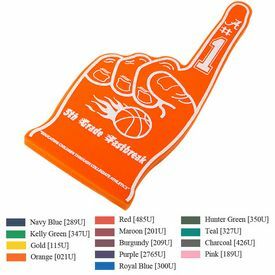 Logo foam fingers are also great items to sell at sporting events. For example, schools may want to order our promotional foam hands or our customized foam paws with their school’s logo on them. Then they can sell these personalized foam hands at the school spirit shop or at the concession stand for the game. This is a simple way to generate more money while still supplying the fans with something they’ll like to use to cheer on their team. 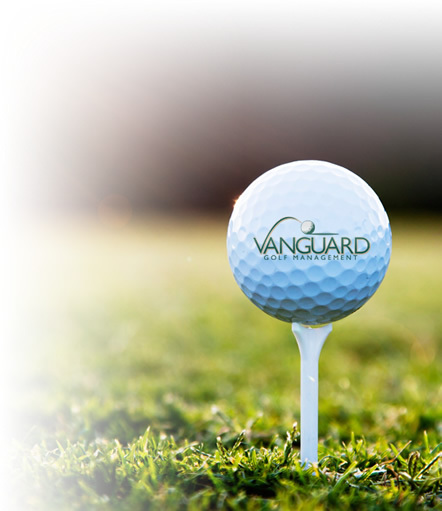 At The Executive Advertising, we aim to make your customer experience as smooth and hassle-free as possible. 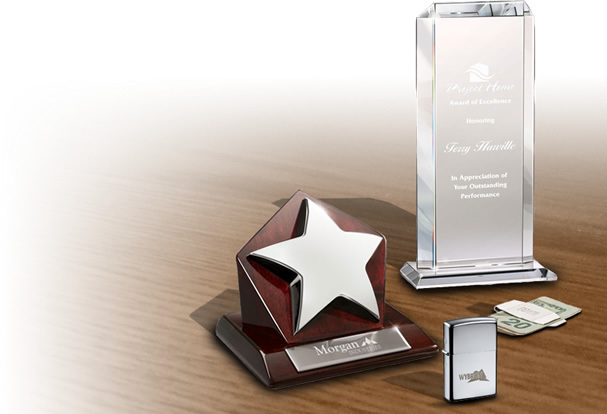 From our great products and pricing to our outstanding customer service, you can expect the best from us all throughout your ordering process. If you have any questions about our logo foam fingers, just give us a call. 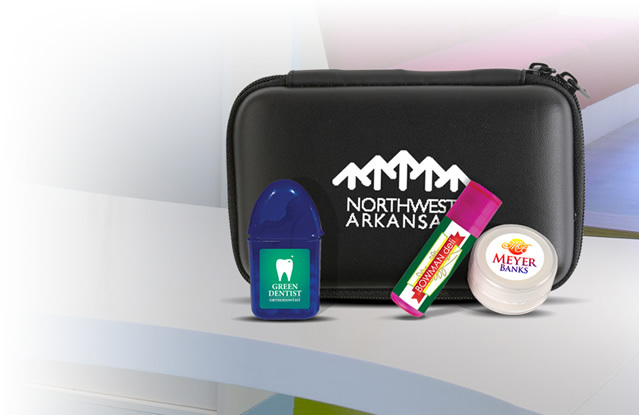 Don’t forget to check out our other promotional foam products as well, like our printed foam tomahawks, logo foam visors, and customized foam claws. Remember that each of our promotional foam hands also comes with a free artwork e-proof, free 1-color imprint, and NO setup fees. What are you waiting for? Order your printed foam fingers from The Executive Advertising today!